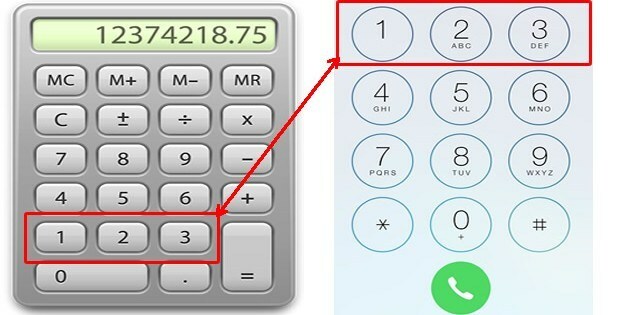 Home creative dailythings entertainment fact funinventors Interesting knowledge recent slider technology Ever Wondered Why Numbers on Phones and Calculators are Reversed? Before the touch-tone phone, of course, rotary dials were the rule. The rotary telephone was invented in the early 1900s. 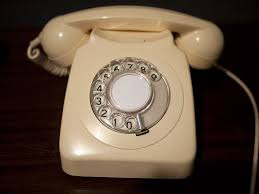 Instead of buttons, the numbers on the telephone were holes from 1-9, and then 0. The idea was to stick your finger in the hole and spin it around to dial each number. To resolve this, the engineering team conducted an experiments with several kinds of keypad layouts and invited hundreds of people to use them & provide their feedback. 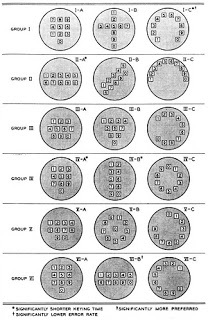 The engineers at Bell Labs discovered people were more comfortable with a keypad layout which had 1-2-3 on top. The experimental results were published in their tech journal, an excerpt of which is as follows. 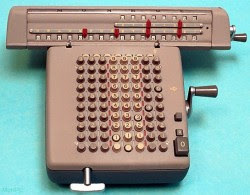 With these experimental results, Bell engineers were not confused anymore, and quickly implemented the design which people preferred, thereby resulting in the keypad layout which is still in use today and has been adapted to cell phones as well, but with a contrasting difference over calculator keypad layout.